Have you ever dreamed of hopping into an airplane with a couple of buddies and flying yourselves to a remote hunting camp? How about flying yourself south for the winter? If so, then a private pilot licence would be perfect for you. There is no age limit to start training but you must be 14 years old to fly solo and 17 years old to receive a Private Pilot Licence. The Private Pilot ground school course is 42 hours long, spread out over several weeks and includes topics such as air law, theory of flight, airframes, instruments, radio procedures, flight operations, licensing, meteorology, navigation, etc. The Private Pilot Licence takes on average 12 months to complete, flying once per week. It can be done in as little as 4 weeks, or if you would like to take your time, 4 years. There is no time limit to complete this licence and we will work around your schedule. On average, a student will do about 65 hours of flying to get their Private Pilot Licence, at an average cost around $16,000+HST. However, depending on a students personal abilities and how often they are able to fly, you may be able to get your Private Pilot License in as little as 45 hours (Transport Canada Minimum) at an average cost of about $10,000+HST. 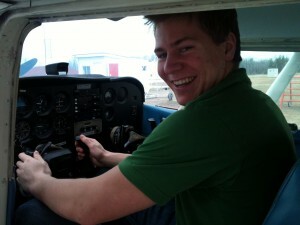 Costs will vary depending on student ability and the amount of time you are able to dedicate to flying. For information give us a call at (519) 372-1259 and we will be more than happy to answer any questions you may have!